The Slade summer school short course programme provides a variety of courses for all levels of experience. In addition to our extensive evening lecture and exhibition programme, most classes include slide talks and seminars to complement the studio timetable. Many students create an extended programme of study and choose multiple courses to advance their skills and interests. This course will introduce you to the essential first principles of drawing through group and individual tuition and will help you to develop your own practice and vision. 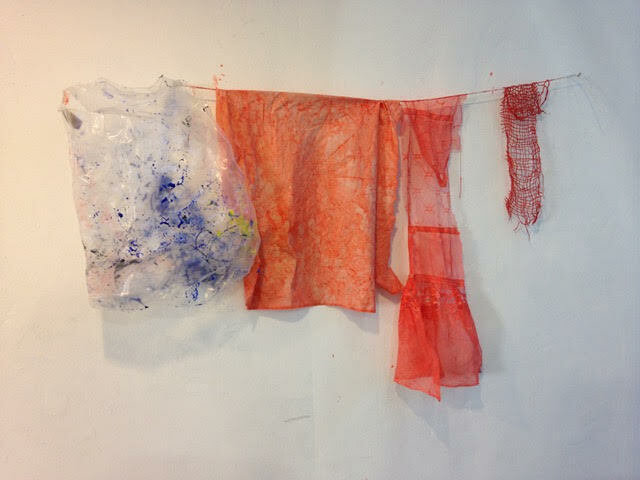 Each day, you will explore particular aspects of drawing and experiment with a variety of techniques and materials. These include traditional methods of working such as observation of objects; the human form and light, the use of line, measurement, scale, and proportion; the organisation of pictorial space; materials and surface. You will explore contemporary ideas about spontaneity, memory, imagination, abstraction, construction and recording the creative process. In the second week you will be encouraged to explore and nurture ideas through drawing. You will develop your own art practice and personal vision at your own pace. Regular critiques of work will be held, along with discussions of future plans at the end of the course. 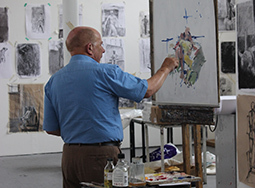 In this eight-week evening class you will explore the first principles of painting. The idea of perception will be used as the starting point for visual enquiry. The emphasis of the course is to look at painting as a means for articulating form and to equip you with essential tools for building an image. Weekly sessions will be devoted to contemplating a particular set of formal issues underpinning the nature of painting. 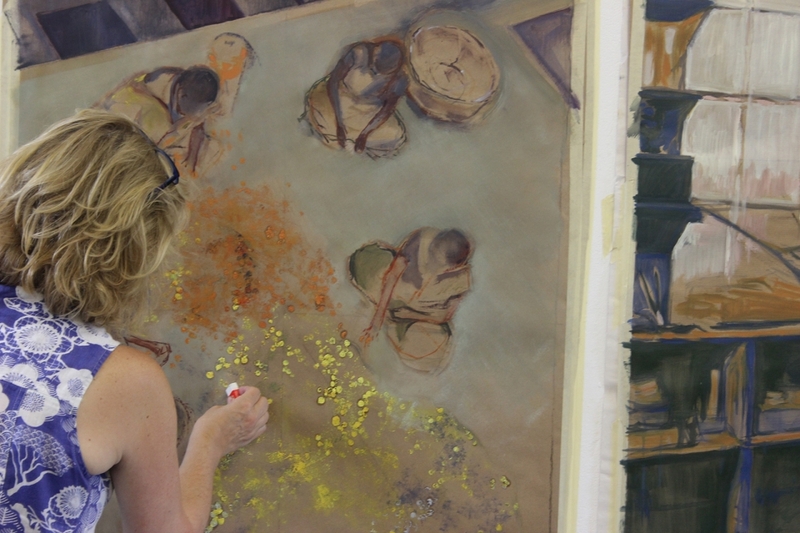 You will work from objects, the human figure and secondary sources using oils or acrylic. 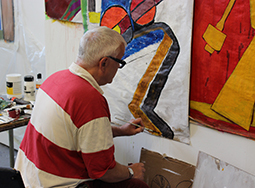 During the course you will develop a set of criteria that allows you to consider further possibilities within the wider remit of painting for expression and creative imagination. Special attention is placed on colour and composition. 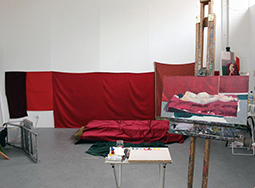 The course includes two sessions of painting from a life model. It runs on Tuesday evenings, from 6pm to 8:30pm. This course will introduce you to the essential first principles of drawing through group and individual tuition and help you develop your own practice and individual vision. Each day you will explore particular aspects of drawing and experiment with a variety of techniques and materials. These include traditional methods of working such as observation of objects, the human form and light; the use of line, measurement, scale, and proportion; the organisation of pictorial space; materials and surface; investigating transcription and translation of existing art works; contemporary ideas about spontaneity, memory, imagination, abstraction and construction, and recording the creative process. 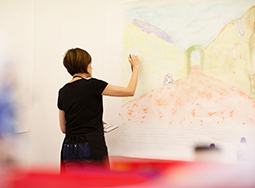 In the second week you'll be encouraged to explore and nurture ideas through drawing. 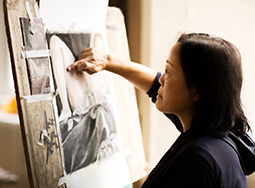 You will develop your own art practice and personal vision at your own pace. Regular critiques of work will be held, along with discussions of future plans at the end of the course. This intensive two-week course is designed for students who have a pre-existing painting practice they wish to develop and advance in a dedicated studio environment with the support of a range of tutors specialising in Painting. 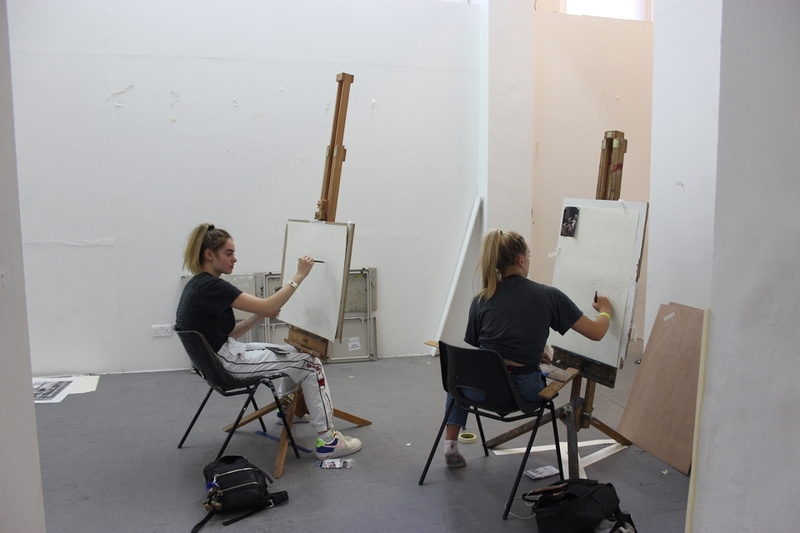 The aim of the course is to enable students to develop their work through discussion, expand their knowledge of artists and artworks and engage with a new artist community. Each tutor will run a practical workshop outlining a strategy used in their own practice to help students develop their visual research. These workshops will cover the basics such as colour and form and the more experimental concepts of chance and collaboration. Studio based learning will include one-to-one tutorials, group critiques and reading groups which will run alongside visits to an artist’s studio and a guided tour of a museum. Students will begin by presenting an idea for a new body of work, which will evolve throughout the two weeks and will be shown in development at a group exhibition in conclusion to the course. Already have an existing practice that includes painting. Require support in development of ideas. Have a desire to be part a dialogue placed within a contemporary art context. Have a willingness to contribute to critical analysis of fellow students work, and receive constructive criticism of their own practice. Have an open attitude that will enable experimental approaches that will produce unexpected results. If you wish to carry on your art development you might also consider booking onto Contemporary Painting. 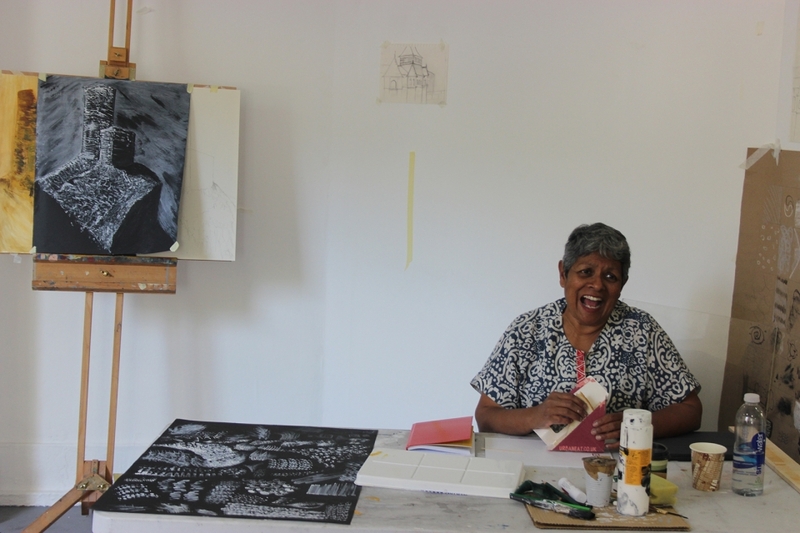 This masterclass will guide you in translating your drawing practice into the medium of printmaking. 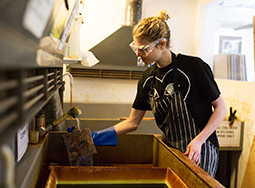 The course offers an intensive introduction to the methods and materials involved in the traditional techniques of copper etching and will begin with an opportunity to examine examples of original prints by different artists. 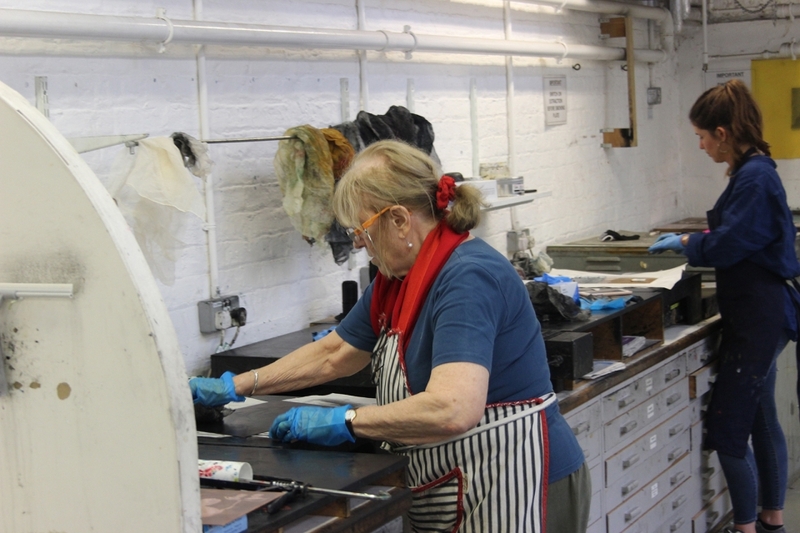 This will be followed by a thorough introduction to the basic etching processes – hard and soft ground, aquatint and sugar lift. You will be encouraged to explore the various processes fully in order to develop your own personal language. There will be opportunities for one-to-one tutorials as your work develops and progresses. 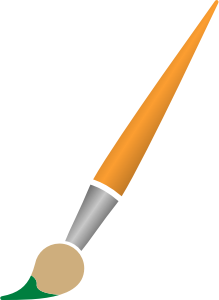 The course fee covers most of the materials necessary for etching, however copper and paper are not provided and will be available to purchase during the course. You can also take this course over two weeks. If you wish to carry on your art development you might also consider booking onto Photo Etching and Wood Engraving. Wood engraving is a relief printmaking process using the end-grain of the wood. The very fine detail and strong tonal images which can be produced this way means that it was the technique of choice for illustrating books and broadsheets for over 150 years until photographic reproductions became viable. It is now a vibrant art form in its own right. In this three-day course you will learn the techniques for marking out, engraving and printing on box wood, producing one or two finished pieces. 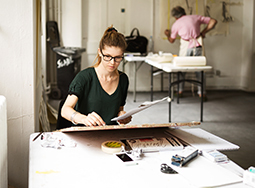 With reference to wood engravings in the UCL Art Museum you will be tutored in the principles of design for wood engraving and use of different tools and printing techniques. You will have sufficient experience to be able to continue the practice following the course. All tools will be provided during the course, along with a practice block. Further blocks will be available to purchase on the course. 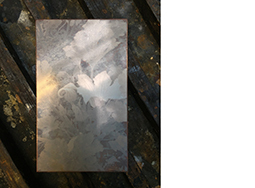 If you wish to carry on your art development you might also consider booking onto Photo Etching. This one-week introductory course teaches experimental photographic techniques and mediums from their inception, with a view to use them for creative exploration. We will be using historic photographic technologies to explore procedures that reach beyond the techniques and traditional understanding of photography. The emphasis of this course will be placed on understanding photography not only as a medium to represent, but also as a technology to trigger imagination. At its origins, photography was a technique capable of creating images from light, without the use of what we consider today as a 'conventional' camera. The creation of alternative optical devices from scratch in order to manipulate light and photosensitivity allows for an encounter with some of the subtle elements that question what photography is ‘in itself’. 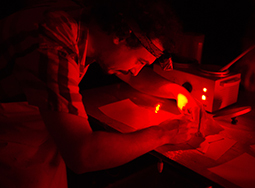 During this week we will experiment in both practical and imaginative ways with these fundamental technologies, to find alternative ways to investigate the creative potential of photography: from camera-less techniques to the creation of photosensitive surfaces. Darkroom techniques: basic processes and experimental processes. 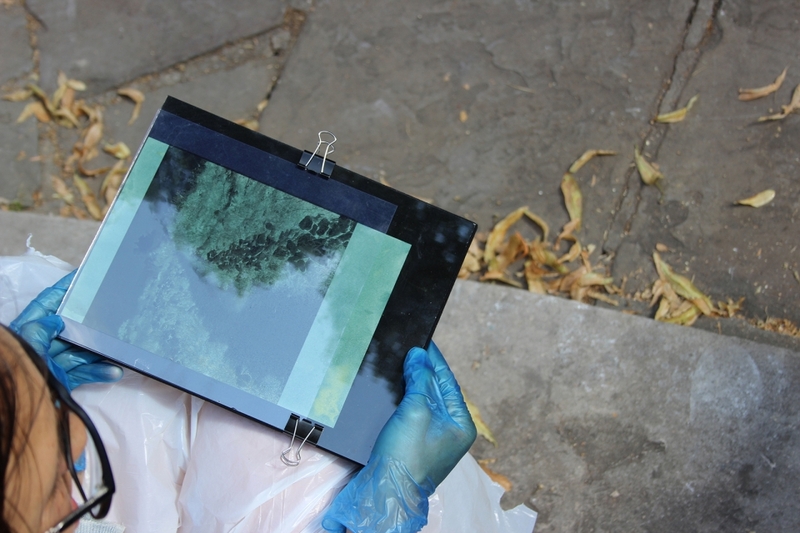 Salt prints, cyanotypes, dichromate gum prints, anthotypes (chlorophile) and photo emulsions. 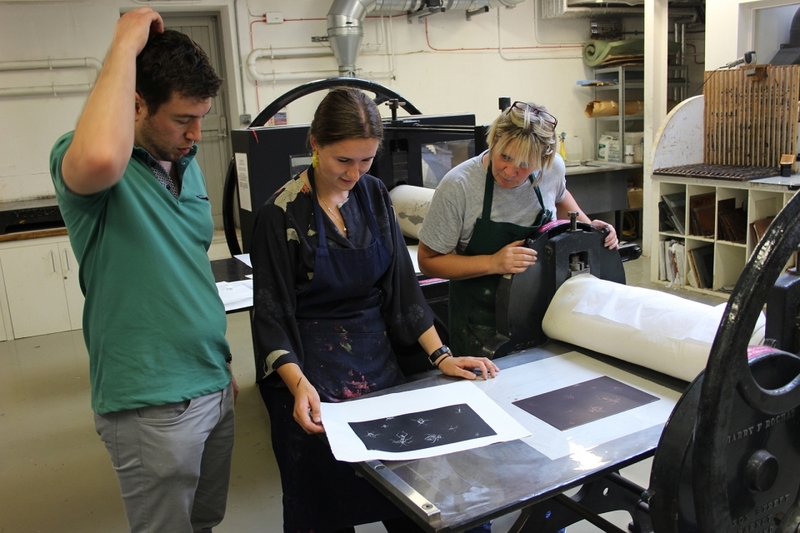 This one week introductory course will extend the techniques learned during the Etching Summer School and will explore the possibilities of photomechanical printmaking using photo polymer emulsion both as a means of reproduction and as a creative tool for image-making. A prior knowledge of etching is preferable as is the basics in Photoshop, however the course will go over the fundamentals of both areas. Working with both autographic and photographic positives, you will learn how to produce photo-etchings with incredible tonal range, rich dark blacks, smooth tonal transitions and very fine detail and will have the opportunity to develop your plate further by incorporating the various etching techniques available in the workshop. 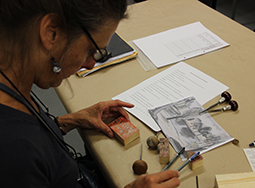 The course will begin with an opportunity to examine examples of original prints by different artists using the photo-etching techniques. This will be followed by a thorough introduction and analysis of the digital workspace and workflow necessary for producing and crafting tonally rich positives for the photo-etching process. The Slade studios have a long and rich tradition of printing, and as in all disciplines, a critical assessment of image making will play a fundamental role in the course. Students will be guided in translating their ideas through print and encouraged to debate with fellow students the role of printmaking in a contemporary context. There will be plenty of time for one-to-one tutorials so please bring examples of your work. Please see further information for more information about the course. This course acts as a bridge should you wish to extend your experience of drawing and consider how it might be developed into painting, whilst contemplating how these two disciplines cross over and inform one another. 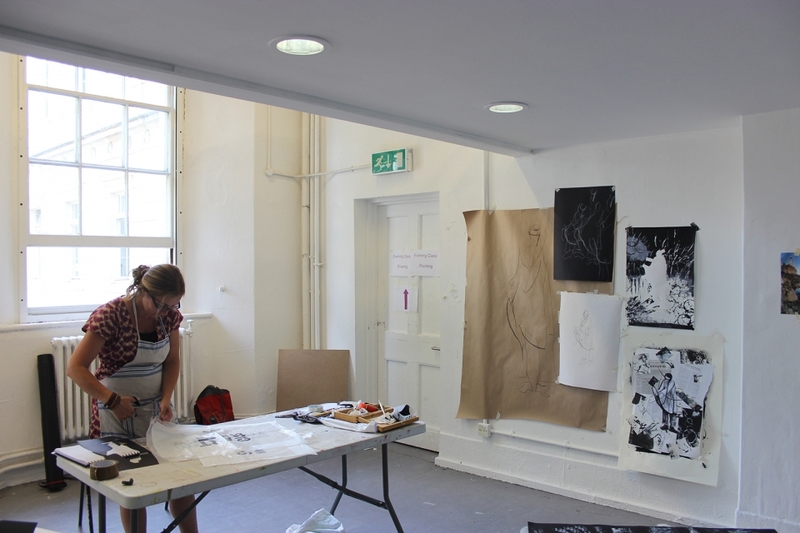 During week one you will be exploring some of the formal issues of drawing through observation. Special emphasis is put on looking carefully at tone and mark-making, the translation of tone and line into colour and the role of colour in both painting and drawing. In the second week you will investigate composition and paint handling, as well as strategies to generate and develop personal ideas in painting, using a variety of materials. Your personal development will be encouraged through taught studio sessions, slide talks and regular discussions about ideas and methods. This course will give you the support and guidance needed to develop your own independent practice. You will be setting up a studio-based study to evolve your own practical and aesthetic interests. This will be supported by a series of optional morning workshops including: working from secondary sources, mixing and applying colour, discussing supports and grounds, methods demonstrations, and learning some of the essentials of the painter’s craft. A life model can be booked on selected days to generate source material. There will be individual tutorials, slide shows and group critiques run by invited artists, representing a wide spectrum of professional practice in terms of style and subject matter. This course may be followed for two or four weeks as appropriate. 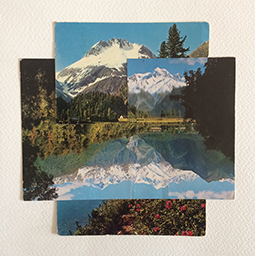 This practical course will introduce collage as a way of thinking and encourage learning through making. Through workshops and studio time, you will learn new techniques and realise the potential of collage. You will be experimenting with mixed media (paint, drawing, 3D etc) looking at the varied techniques of collage, and challenging the boundaries of the medium. We will look at the history of collage and its contemporary importance, focusing on Slade alumni for inspiration. The mornings will start with a brief talk and a practical workshop, leaving the afternoons for studio development, discussions and tutorials. Day 1: Transforming found images and perhaps your own, through the process of collage to make a new image. 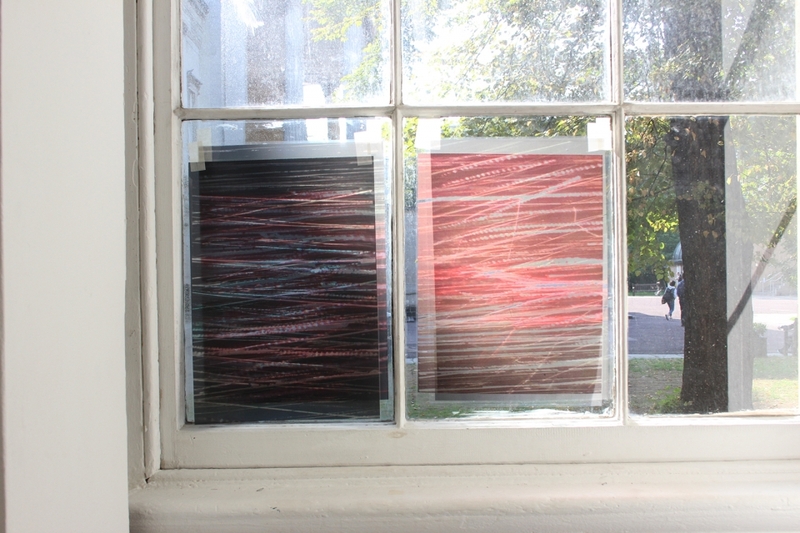 Day 2: Using collage as part of a process leading to painting, sculpture/installation, drawing or photography. Day 3: Developing concepts and techniques covered in the first two days to make a final work. If you wish to carry on your art development you might also consider booking onto Generation Text. This course is designed to introduce you to a range of contemporary approaches to composing a portrait painting. You will initially be working towards a solid formal understanding of portraiture through drawing directly from the head and increasing your perceptual awareness. This will lead into workshops and slide talks by invited artists who represent current and diverse approaches to contemporary portraiture. 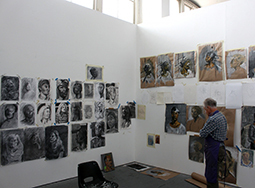 You will then explore practical alternative approaches and ideas about portraiture, while still referring to a more formal visual language connected to the traditional understanding of the genre. You will be encouraged and supported to work between these approaches, developing your own independent practice and discovering new processes in order to generate new work and ideas. If you wish to carry on your art development you might also consider booking onto Portraiture: Drawing And Painting The Head. To enjoy this course, you will need to have an existing creative practice that you want to develop in relation to contemporary painting discourses. You will be invited to test and expand your practice through individual and collaborative experiments with materials, spaces, and ideas. As a group, we shall ask questions about painting, working with the operations of, for example, installation, collage, the monochrome, and found object, which have reconfigured painting in the past and continue to bear on the possibilities of painting in the present. Given our versatile studio space, you will be able to move around over the three weeks to accommodate the shifting demands of your work. In previous years, this has afforded people the opportunity to experiment with, for example, performance, large scale sculptural installation and video projection. Framed by our collective engagement with what contemporary painting means, you will be encouraged to continually reflect, with the group, on what you are making, helped to describe what you find and embed those discoveries in your ongoing practice. 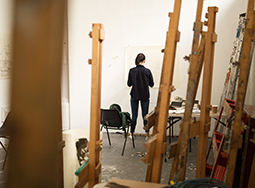 The course has worked well for those seeking a stepping stone to further study and residencies, including the London Summer Intensive, as well as current undergraduate and postgraduate students who want to focus on painting and its discourses. Read further descriptions of the course by previous attendees. For many artists, working from the human figure is an exciting and profoundly rewarding experience, and one that the Slade continues to actively participate in. This two-week course will introduce you to the 'first principles' in drawing directly from a life model. You will explore the many and varied results thrown up by intense analytical enquiry alongside tuition in perceptually based methods of pictorial construction. This will include linear and tonal study, the articulation of colour-space, colour and expression as well as experimentation with a broad range of drawing materials, both wet and dry. 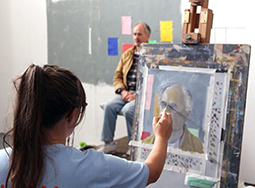 You will be taught by figurative artists, each of whom will offer alternative perspectives. Individual tuition, informal discussion, slide talks and group critiques will provide a wider context to the work you make in the studio. If you wish to carry on your art development you might also consider booking onto Life Painting. The history of 20th and 21st century visual culture is entangled with the production of text of all kinds, both about art, and as art. A key theme in this period is the exploration of ways in which creative decisions can be made by some kind of autonomous process, using strategies such as chance, appropriation, game-playing and algorithm design. This course will provide students with the opportunity to develop their own work by tracing the history of key artists and writers in this field. 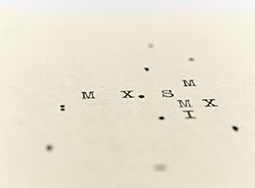 From the Dadaists to contemporary practitioners using Artificial Intelligence, we will explore the world of generative writing by using their textual techniques in drawing, collage, print, audio recording, performance, photography, video, computer programming – and, of course, simply writing. In so doing, participants will investigate how moments of authorship that occur when making any artwork can be situated, displaced or erased, scrutinising thereby such notions as authenticity, originality, meaning and the existence and character of the self. This one-week course will be based in both the Slade studio and various museums. You will discuss Art Historical Theory, complete practical exercises and visit museum collections. Artworks will be pitted against one another to provoke lively debate and better understand why one work or artist might be perceived as ‘better’ or more ‘valuable’ than another. Paintings will discussed by visiting the works themselves, a vital aspect of the course. Students will explore the process of looking and asked to separate the ‘depicted’ subject matter from the ‘artists’ subject matter to better understand the success or failure of a work. Group discussions and individual presentations will focus students to explore and explain their findings, and practical exercises will help in the identification of formal values inherent in art that can discreetly ensure an artwork’s quality. If you wish to carry on your art development you might also consider booking onto Good Artists Copy; Great Artists Steal. This short three-day waste mould-making course is suitable for beginners, more experienced students or professionals interested in different fabrication processes. Focusing on alginate and plaster moulding and casting. This hands-on intensive course will teach you: life-casting from the human body, casting from ‘still’ life, such as provided objects or spaces, and small objects/sculptures you can bring in. Alginate has been chosen as the core material because, it is a natural material which has a short curing time, allows flexible and highly detailed moulds to be made and is a safe material to use. To help your personal creative process, the course will teach you a number of techniques. These will include, piece-plaster bandage moulds; poured and lay-up alginate moulds; casting in a variety of plasters and wax, both solid and hollow casting; and experimentation with pigmenting, finishing and direct sculpting techniques. Alginate has been chosen because it allows students to experiment with all these techniques in a short time frame, and to create a variety of small sculptures. The course will consist of a mix of demonstrations and group and individual activity and will not only teach you some principles of moulding, but also offer you an opportunity to experiment with different types of materials and mediums. This course is relevant for anyone involved with art, design and 3-D Making or interested in finding out more about mould-making and will set you up to move on into silicon casting. If you wish to carry on your art development you might also consider booking onto Introduction To Sculpture. 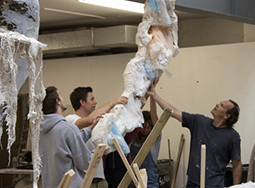 This 2-week course will introduce common methods used in the construction of cast, modelled, and constructed sculpture. 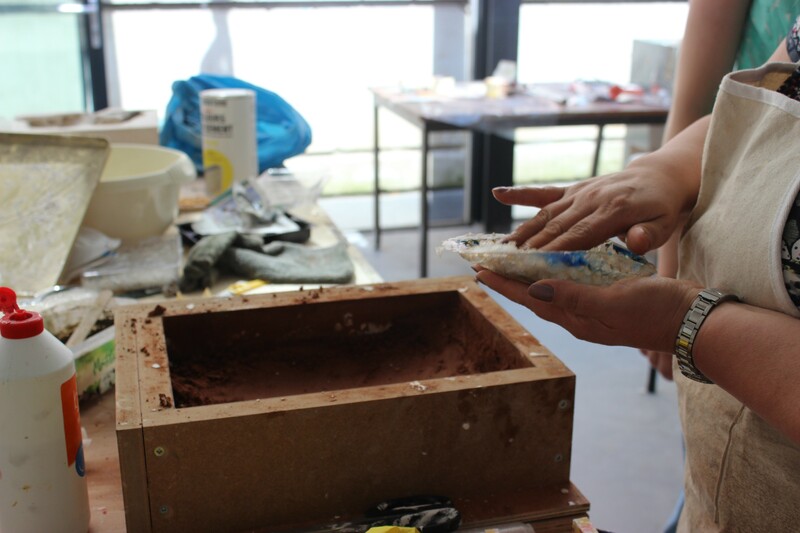 Traditional materials such as plaster, wood, wax, clay, and alginate will be used, as well as readymade and recycled items, in a variety of group workshops and self-directed applications. 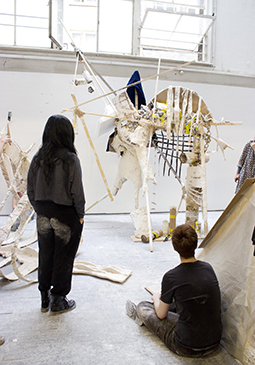 The course will emphasise creative mould-making, and ask students to consider the presentation of material from each stage of the casting process, with the option of also exploring installation and performance. Suitable for both beginners and more experienced students, this course will explore how traditional, organic, and readymade materials can be used to develop individual projects and techniques. As some of the resulting constructions may not be movable, we will stress the importance of keeping a photographic record, as well as discuss the possibilities of deconstruction, the logistics of disassembling and packaging of artworks, and the potential to create artist multiples from existing works. Detailed information about the content and structure of the course is available on the Introduction To Sculpture webpage. If you wish to carry on your art development you might also consider booking onto Exploring Collective Practice. This masterclass invites you to think, learn and practise drawing in public and private, from example and imagination. You will visit The Grant, The Petrie, The Victoria & Albert Museums, The National Gallery, The Wallace Collection and British Museum, using these collections as inspiration to create individual artworks. Each day will have a different theme. You will spend mornings in a different gallery or museum, studying 'looking through drawing’ in a variety of ways. You will use works of art, museum objects and their environments as stimuli to create a collection of drawings. 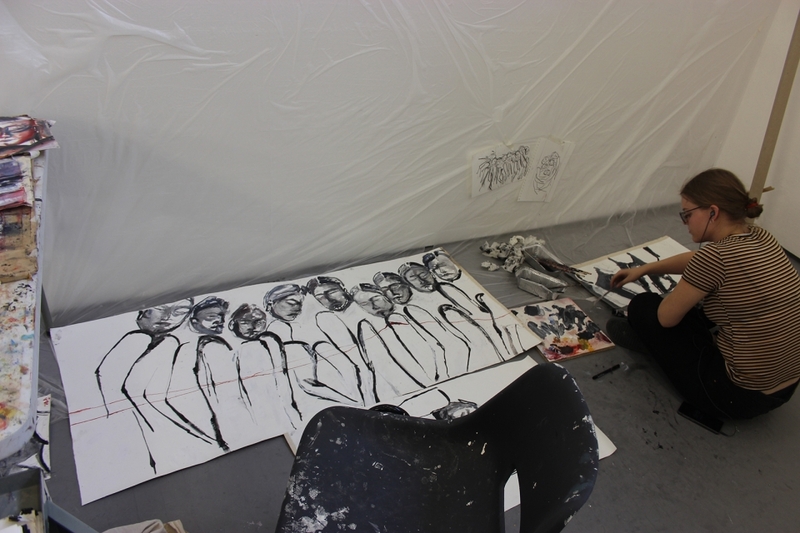 Then, each afternoon back in the Slade studio, you will use these drawings to make your own unique, more complex work. The aim is not to replicate artworks, but to use them to invent your own. The purpose of this course is to gather material, use it freely, expand your mind in thought, discussion and action. 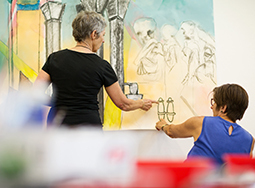 This is an advanced course for artists and creative practitioners that places drawing at the forefront of studio-based explorations. 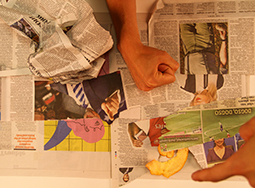 The results often extend into a variety of media and mediums including film and video, sculpture, performance, painting, photography, and drawing itself. The programme aims to question what constitutes a drawing and how contemporary approaches to the subject are implemented into practice. You will experiment with a variety of mediums and techniques, from traditional drawing materials to newer media such as projectors, cameras, audio/visual equipment, computers and sculpture tools. 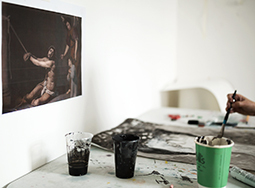 The course prioritises giving independent working time in the studio to develop personal work. This is supplemented with tutor led projects, one to one tutorials, group discussions/crits, gallery visits, short technical workshops, lectures, and visiting artists’ talks. 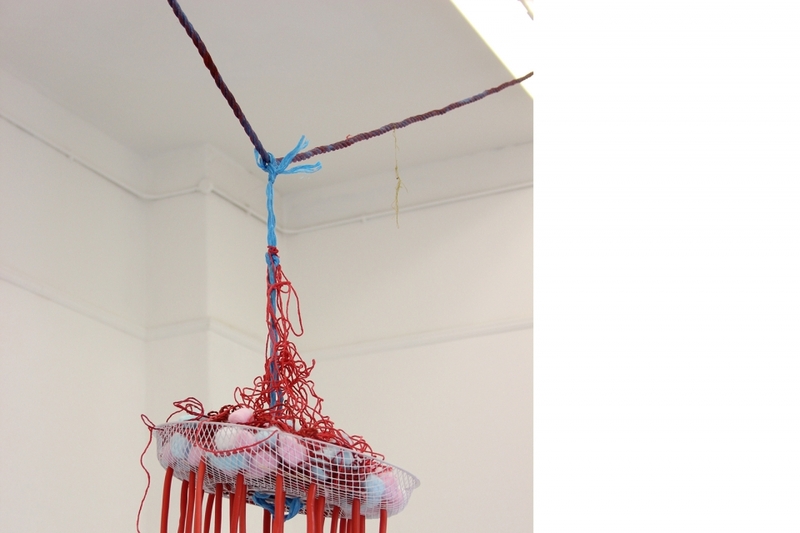 The optional extension of the course into three weeks allows artists the time to fully develop and test their work, and will culminate in a public exhibition. This two-week course will help you develop the abstract qualities within your creative practice through experimentation with painting and mixed media techniques. It aims to expand ideas around representation and abstraction through a hands-on exploration of historic and contemporary material processes. 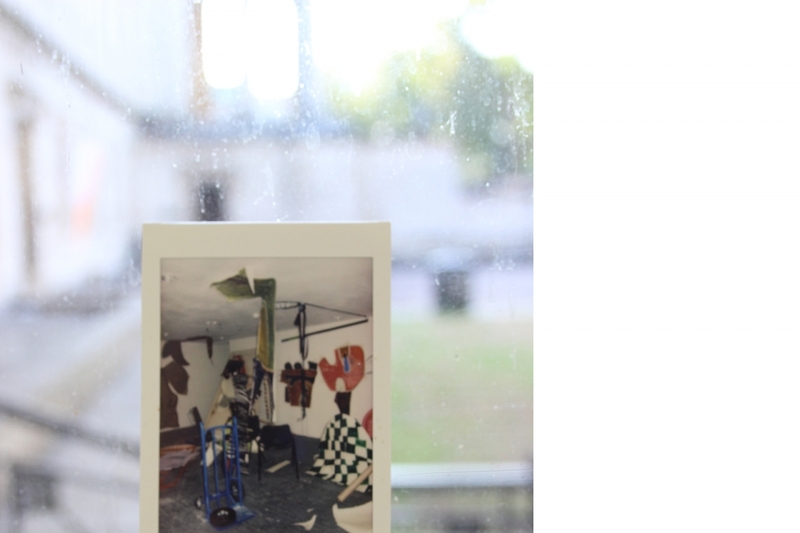 You will learn about the changing role of abstraction in contemporary practice, its relationship to pictorial space and figuration, and gain insight into the Material Research Project in Slade Graduate Painting. 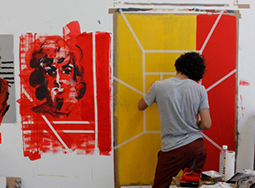 In week one, you will investigate traditional and modern painting materials through a series of flexible projects, where you will gain experience with an array of experimental methods. These activities will be complimented by regular demonstrations, talks, gallery visits, and group discussions. In week two, you will build upon these experiences to develop a personal project. 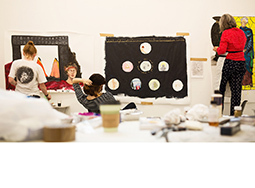 You will receive individual tutorial support, alongside feedback from visiting artists and your fellow students. This course is designed for students of all abilities who would like to develop the abstract qualities within their creative practice through experimentation with painting and mixed media techniques. Detailed information about the content and structure of the course is available on the Material Journeys webpage. This course has been structured to give you the space and conditions in which to explore the formal challenges related to painting from life. These include drawing, composition, tone and temperature. Through personal enquiry and experiment, the more individual elements such as mark making and language can be explored and nurtured. During the first week, life poses will be held for a maximum of one day to offer a diversity of experiences. The culmination of these experiences will be put to use in a sustained pose during week two to allow scope for students' own investigations. 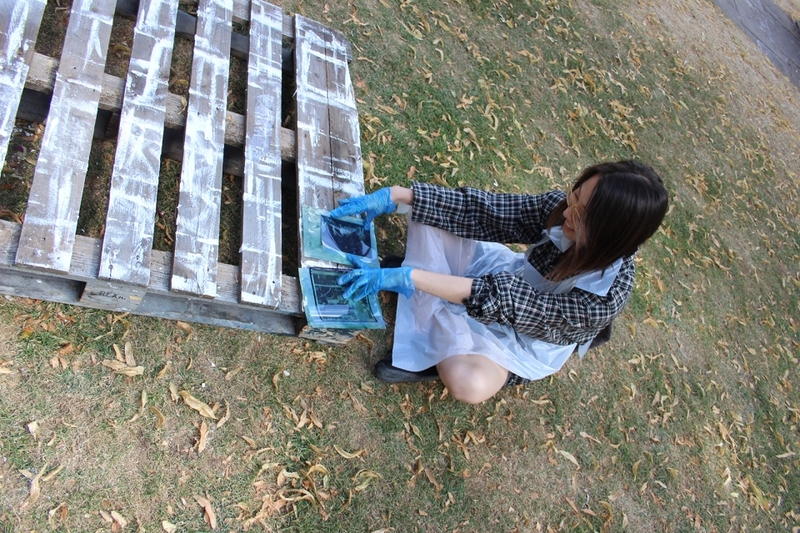 Technical support will be available for those students who wish to make their own canvases. 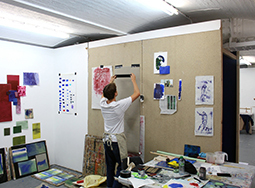 Throughout the fortnight there will be ample opportunity for discussion in one-to-one tutorials with a variety of visiting tutors with their own distinct artist practices, as well as within informal group situations. If you wish to carry on your art development you might also consider booking onto Life Painting And The Sustained Pose. Exploring Collective Practice is a one-week course that gives students the opportunity to learn about collective artistic practices throughout history and to carry out their own investigations into collaborative practice by producing an ambitious large-scale public artwork. Exploring Collective Making is a one-week course that gives students the opportunity to learn about collective creative practices throughout history and to carry out their own investigations into artistic collaboration by working together to produce an ambitious large-scale public artwork. This involves looking in detail at how collective artistic practice has shaped the course of art history, where it has failed and where it has succeeded and what we can learn from looking at some key precedents. Situated in a public-facing space outside the Slade the project will be conceived of by the students working as a group. In order to achieve this the group will need to organise, discuss and make decisions collectively. The tutor will set out the theme at the start of the week. The group will develop making process where each member of the group can have equal agency in the production of the final piece. By necessity the basic components of this process will be defined before the course in order to source materials. For example – concrete and mould making materials. The course will culminate with a public event that will be hosted in, around, on or under the piece. This may be a performance, a dinner, a reading or a party. This is a chance to invite external practitioners into the group to contribute to the project. This course will help you to understand the many aspects of colour and develop colour skills within your own artistic practice. The structure of the course weaves aspects of colour science together with colour practice. Through a series of morning lectures you will examine the physiology and psychology of colour perception, the physics and chemistry of colour, and the role of colour in historical and contemporary art practices. 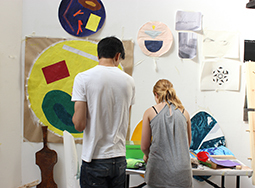 Through practical projects you will explore the interaction of colour, colour mixing, the relationship between form and colour, and the spatial effects of colours. There will be workshops with invited fine artists for whom colour plays a key role in their work. In the second week you will develop your personal work, with support through individual tutorials. The emphasis will be on the development of ideas, preparation and process, using a variety of approaches and materials. In this course you will develop your ability to represent the human head and build a body of work around a single subject. The emphasis is on developing your drawing and painting skills through a practical approach to the study of portraiture. Initially you will focus on investigative and analytical studies working directly from the model, firstly through linear drawing and measurement, as well as tonal studies. You will then move onto approaches that allow for more expressive potential. You will explore colour and its interaction and relativity, as well as its role in the articulation of space and form. 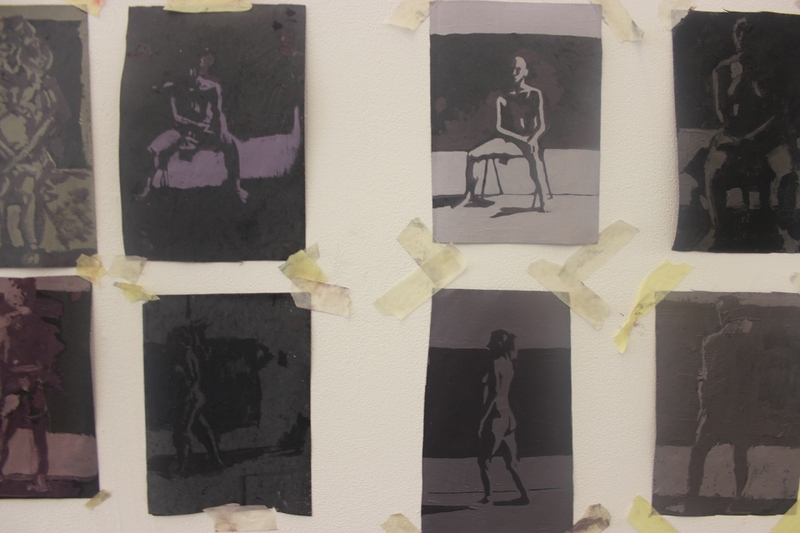 These structured, developmental studies will lead into a final three days of sustained painting. 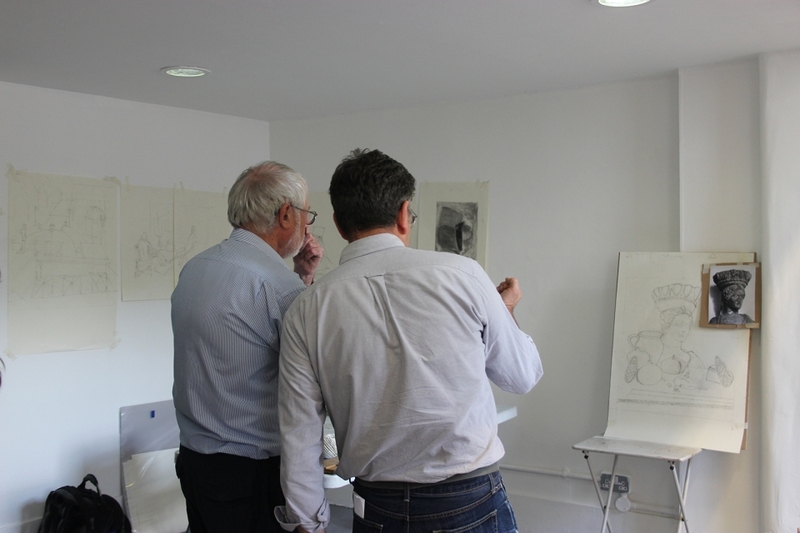 You will be supported through individual tuition, informal discussion, slide talks and group critiques delivered by a range of visiting figurative artists. The course will conclude with a final group critique, during which the group's work will be discussed. This two-week course will give you the opportunity to work directly from a sustained life model pose for two weeks. You will also explore the nature of sustained observation and the concepts connected to it. The course will begin with a collaborative studio discussion which sets the model poses and colour environments as a group. There will be one-to-one tuition on the perceptual shifts taking place between the artist and subject; colour mixing; tone and temperature; form and the role of structure in terms of proportion and spatial relationships. Studio time working from the model will be interspersed with demonstrations, discussions and invited speakers. Perceptual issues will be considered and contextualized in relation to recent developments in the neuroscience of vision; ideas about optics in relation to illusion and the imagination. This optional programme is open to all students taking part in our various courses throughout the summer. It aims to enrich students learning experiences and to encourage Summer School students to meet and work with colleagues on different courses, as well as with Slade students and alumni. It is extensive and eclectic, and gives a real sense of studying in an art school environment. 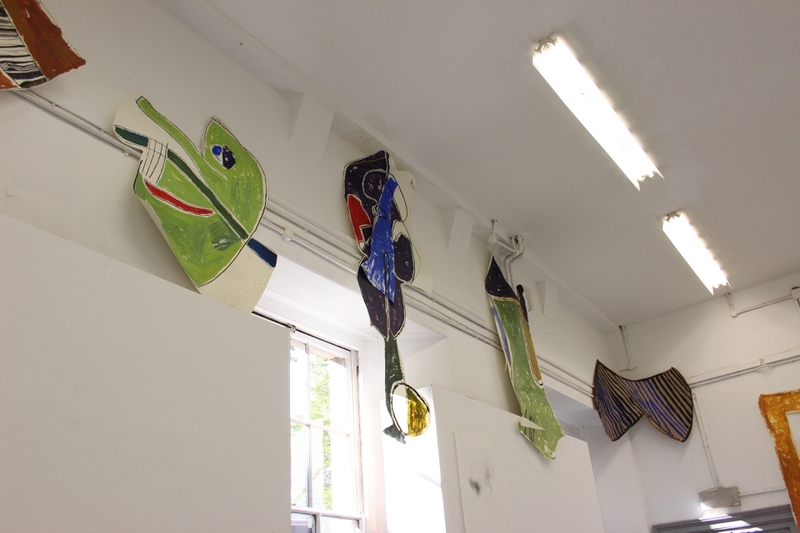 There will be a lively series of artists’ projects hosted in the studios, run by a mix of Slade tutors, alumni and recently graduated student residents. These artists will open their studio spaces to Summer School students and invite discussion centred around the work. Mid week evenings host a regular series of extra curricular events at 5pm, Tuesday to Thursday. Tuesday and Thursday: A combination of Art History lectures and artist talks run on these evenings, providing an introduction to the varied contexts and histories of fine art. Wednesday: Exhibition openings and floor talks are hosted bi-weekly on Wednesday evenings in our exhibiting space. The exhibition programme provides an opportunity for students to respond to art immediately and directly with a broad range of mediums and artists. Slade Undergraduate and Postgraduate students, both current and recently graduated, talk about their work on alternate Wednesday evenings.